(March 22, 2018) World Water Day is an annual event celebrated on March 22nd. The day focuses attention on the importance of universal access to clean water, sanitation, and hygiene facilities in developing countries. The National Nanotechnology Coordination Office (NNCO) is celebrating this year’s World Water Day by releasing a series of videos and podcasts, and by highlighting the U.S. National Nanotechnology Initiative (NNI) Nanotechnology Signature Initiative (NSI) on Water Sustainability—and the role of nanotechnology in providing clean and affordable water solutions. Podcasts: As part of the NNCO’s ongoing series, two podcasts will be released for World Water Day. One podcast features Arizona State University’s Paul Westerhoff discussing the bold new research efforts at the Nanosystems Engineering Research Center for Nanotechnology-Enabled Water Treatment Nano-Enabled Water Treatment (NEWT). For World Water Day, Dr. Paul Westerhoff discusses using nanotechnology to purify, polish, and remove pollutants from water. He also talks about bringing clean water to places that are off the water grid. ature Geoscience has just been published and features a bunch of great papers and opinion pieces about inland aquatic systems. We’ve taken the opportunity to put together a special focus collection on inland waters, their many contributions to ecosystems and biogeochemical cycles, and the challenges they face due to climate change and human actions. 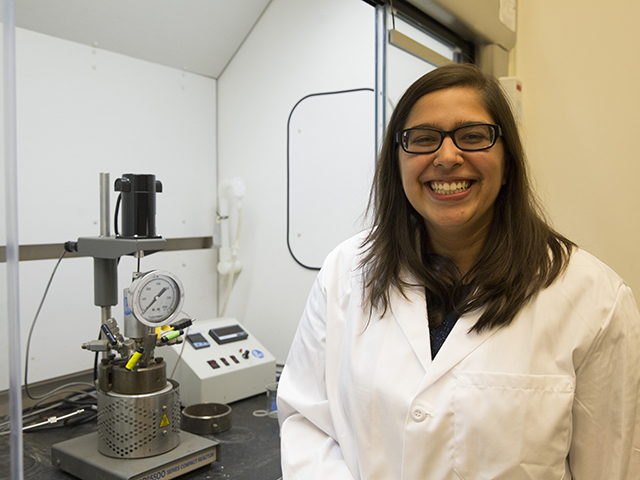 Videos created by members of the NSF funded Nanotechnology-Enabled Water Treatment (NEWT) Engineering Research Center – a collaboration between Rice University, Arizona State University, Yale University, and the University of Texas El Paso. notechnology limit biofouling in water treatment? How silver nanoparticles can help reduce biofouling in water filters? When people find out there are invisible particles in their food or water, they become alarmed. 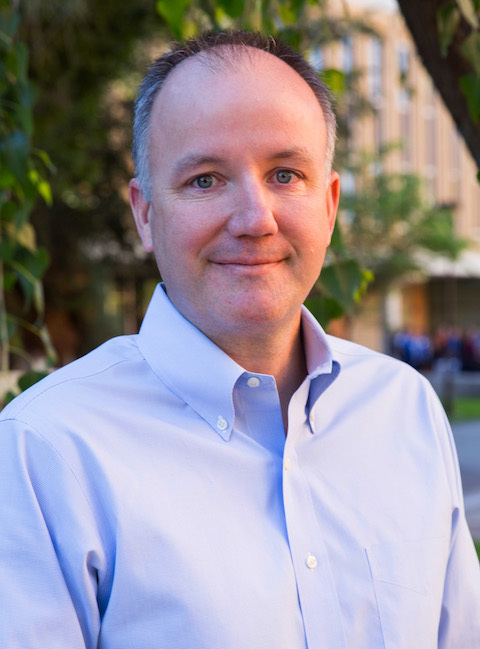 Arizona State University professor Paul Westerhoff has dedicated his career to producing research that answers people’s questions and moves them past fear. “The things I do are not from a scare-mongering point of view, but trying to answer objective engineering questions,” said Westerhoff, a professor of in the School of Sustainable Engineering and the Built Environment at ASU. Westerhoff, an environmental engineer, has been named one of three Regents’ Professors for the 2016-2017 academic year. Regents’ Professor is the highest faculty honor and is conferred on full professors who have made remarkable achievements that have brought them national attention and international distinction. An expert in nanoparticles, Westerhoff started working on the tiny specks even before they had a name. As a graduate student, he worked on water filtration. “At that time we talked about these things called ‘sub-micron particles,’ which we couldn’t measure very well but we did a bunch of experiments with them anyway,” he said. A few years later, when the term “nano” was becoming popular, he realized he had already done it. Now, he focuses on using nanoparticles to treat and purify water, an interest that was piqued by a hydrology class he took as an undergraduate. From his first studies, he saw the trajectory of public perception about invisible and unknown substances in the environment, and how that could influence his research. “In the environmental world, initially it’s like the world’s going to end. But what I’ve learned is that these things move through predictable trends,” he said, using as an example “Silent Spring,” a 1962 book by conservationist Rachel Carson that documented the effects of the use of pesticides, including DDT. “It’s in this early stage that people are scared, while the agriculture industry and pesticide industry responded by saying that they save millions of lives. In the first few years there’s a lot of uncertainty,” he said. “Then researchers come along and help reduce that uncertainty. “Then there’s another phase where politics come in, and there are cost decisions and people think about regulations and finding alternatives,” he said. Westerhoff said the key is to know which phase is coming next. “As a researcher you want to be focusing on what will be the important question to answer in three to five years, before people even know it’s a question,” he said. Now he’s deputy director of the Nanotechnology Enabled Water Treatment Systems Center, which is focused on developing compact, mobile, off-grid systems that can provide clean water to millions of people who lack it. Many of Westerhoff’s research projects have been funded by agencies such as the National Science Foundation and the Environmental Protection Agency, but he also works with water utilities, non-governmental organizations and industry partners. Westerhoff was commissioned by the environmental activist group Friends of the Earth to see whether there were nanoparticles in powdered infant formula after the manufacturer declined to reveal whether there were. His lab found needle-shaped nanoparticles in the formula. “In Europe, there’s a warning on their use in cosmetics but yet they’re in infant formula,” he said. They discovered the nanoparticles did not dissolve in either water or saliva, but when they put them in stomach fluid, they dissolved instantly. “They did it to deliver calcium to the gut very efficiently, so they didn’t have to use as much,” he said of the manufacturer. Friends of Earth was concerned that the formula labels didn’t disclose the presences of nanoparticles. He’s also seen the evolution of how scientific research is portrayed in the media. In 2008, he supervised a doctoral student on a research project that studied the use of nanosilver in socks to eliminate stinky feet. They wanted to know: Did the particles wash out of the socks and into the water supply? The answer was yes. In 2015, Westerhoff was named an Outstanding Doctoral Mentor by ASU’s Graduate College. His former students said he is able to deftly balance the guidance that students crave with the independence they need to cultivate. Troy Benn, who worked with Westerhoff on the nanosilver paper and is now an engineer in Montana, said: “For a young kid it was a little bit shocking because you do all your research in a lab and you don’t talk to anyone outside, and all of a sudden people are asking you what you did. Kyle Doudrick, who was a graduate student at ASU from 2008 to 2013, said that even with the enormous workload of a full professor, including travel, plus the administrative duties of a vice provost, Westerhoff found time to meet weekly with the students he advised. “It was a good balance of managing but also letting you find yourself in your independence but not so hands off that you had no idea what’s going on,” said Doudrick, who is now an assistant professor in the Department of Civil and Environmental Engineering and Earth Sciences at the University of Notre Dame. Even now, Westerhoff teaches ASU 101, the required, one-credit course that all first-time freshmen take. “I ask them why they want to be engineers, and about half have a life story of something they want to solve. They have a deep passion. The Directors of Environmental Engineers of the Future (E2F) haveelected to keep the master’s funding application (for 2017-2018 funding) posted into January. We hope this information is helpful for your students, and that you enjoy a wonderful New Year! The unique properties that arise at the nano-scale (magnetism, high surface area, selective surface reactivity, surface catalysis, rapid ion delivery, photocatalysis, plasmonic resonance, dielectric properties, electrical conductivity, super hydrophobicity, strength, etc.) 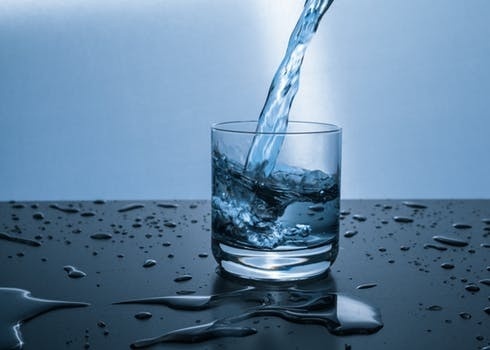 can be used to purify drinking water. While discoveries of these processes are reported in the literature, actual products and processes have been slow to mature beyond the bench-scale into larger-scale, constructed systems or consumer point of use devices for purifying drinking water. This perspective article helps identify barriers that can be overcome to enable nanotechnology for water treatment.